Thanks for your nice comment on my blog! I hope you stop back by and read more! Being a person who was committed by a doctor, I can only say that it is a totally humilating experience to be taken to the hospital in a police car in handcuffs. I can only imagine what images came to you as a child; when these hurtful, life damaging words were said to you. It is amazing that you endured your life at all. You have risen above all that could ever be expected of you and more. Keep sharing your words and story as it gives others, like me, hope and inspiration. Wow, Janice! You really lived the reality of the nightmare I was exposed to! This was a time when having a vivid imagination didn’t help me! I didn’t really understand what the word asylum meant, but just the way she described it made it sound really really bad! I’ve come to know you through your “Minute to Minute” radio comments on either Green 960 Am or KPFA 94.1 FM. Not sure where I hear you, but those are the only two radio stations I listen to. I live in the San Francisco Bay Area. These relate to my growing up in an alcoholic home. For me, the eldest, I’m sure I’ve taken on many of the attributes of one who meets that criteria, but the drinking in my home didn’t start until I was in middle school, plus overall other than the unfortunate drinking, I had a wonderful childhood. I’d like to have the opportunity of either talking more with you about this, or knowing of a place in the Berkeley, Oakland area where I could talk to others who have come from similar environments. I never began drinking myself, nor do I smoke. Growing up first born I wanted to be in control of my life. I don’t need to be in control of others, except that I chose to become a teacher of elementary school children. This career path has been good for me, teaching me to complete things, but also it’s been difficult too because I don’t have an authoritarian personality. Thanks so much for contacting me! It’s always great to hear from people who tell me they benefit from listening to Minute To Freedom! 🙂 It must be Green 960, they’re on there and one other station in San Francisco. Sounds like you certainly relate to the characteristics I describe in my minutes. I had the same experience – at some times my childhood was very positive and exciting. When the drinking accelerated, things went downhill and it was another experience entirely. I’d be glad to share with you more about all of this – at times it can be a bit overwhelming to absorb. You can email me at comments@danlhays.com, and I’d be glad to talk more with you. The other thing you can try is to find some meetings of Adult Children of Alcoholics. Much of what I describe in my minutes is from that program. Here’s what I’d suggest. Go to http://www.adultchildren.org/ and click on the meetings tab. You enter your location, and it will show you meetings in your area. Just out of curiosity, I entered Berkeley, and there are quite a number of meetings in your area. I’m envious – the resources have dried up here in Fort Worth. Meetings are kind of like picking a church – some fit, some do not. It’s encouraged that if you visit, try a couple of different meetings, or at least go several times – so you don’t rate the program based on one meeting, which might give you an incomplete perspective if it’s an off night. I’d be glad to share with you more of my experience with that program. Great that you don’t drink – many who grew up with an alcoholic continue the cycle that way. I’m a first born as well, and we have an interesting blend of tendencies because of it – hero child, rescuer, those sort of things. I can imagine if you don’t have an authoritarian personality, trying to herd elementary school children could be a tough task. Oh – and on my blog, you can click on the Minute to Freedom logo and go to a site where I have all the segments together. Sometimes people like to browse that way instead of what might come up on the radio. And right below it is a tab for iTunes. I’m having the episodes listed there. I’m certainly glad to connect with you here. I’d be glad to talk with you more about all of this. Stay in touch and we’ll talk more! There’s not an ironclad method, but Mark, what I have always done is include a line at the top of my manuscript! “Copyright 2012 Dan L. Hays.” I’ve seen various opinions about the effectiveness of that. Some would say you own the copyright just by writing it – but as a businessman, I feel better putting it out there by putting the statement on the top of my manuscript. You r terrific! I love your sayings on Coast to Coast radio show! And I can’t wait for your book to come out!!! Hurry up Dan! Keep up the good work. Wow, Chris – thanks for the powerful comments! You made my morning! Glad you love the Minute To Freedom segments. The book is getting closer. Do you know about the first book I published? 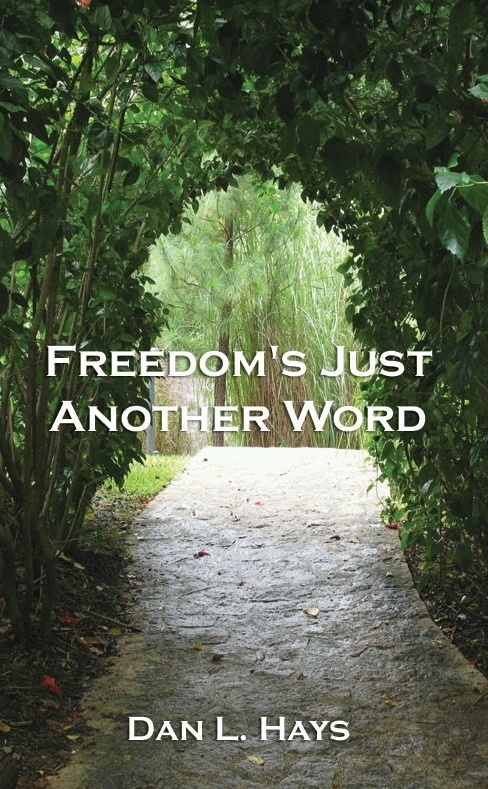 Check out Freedom’s Just Another Word. It’s on Amazon. Thanks so much for sharing with me. Yes, those PSAs have been playing on two stations in San Francisco for about 5 years. It’s odd, isn’t it, how the effects of PTSD just begin to crop up, sometimes with no warning or reason why they appear? Glad you found the Minute to Freedom segments, my blog and website, and that they are helpful to you. Yes, it is disorienting when we get torn and thrown into the past, and old issues just pop up seemingly from nowhere. 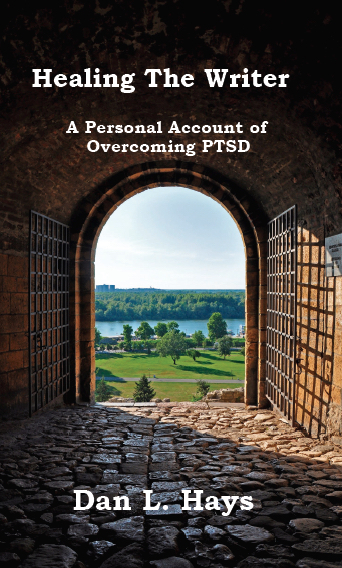 I’m responding to your video about shaking to relieve PTSD symptoms. Recently, I was doing some grieving work to unblock toxic feelings and I became vulnerable like I’ve never been before, allowing myself to feel this incredibly disgusting feelings I had suppressed from my abusers, and my limbs began to shake, like an epileptic seizure. It is very akin to the shaking you described in your video. I had never allowed myself to feel those nasty thoughts, and in turn my brain would turn to distractions in the form of self criticisms, codependent interactions, or other addictive activities. I now realize that those distractions were all forms of escaping from feeling that ‘nasty’ feeling. My mind just didn’t want to go there, and my subconscious found other forms of refuge as a substitute, but they did not treat the root cause. When I experienced the shaking, I also felt this nauseous sensation coming over, and I began to dry heave. Fifteen minutes or so later I felt really good and this went on whenever I decided to ‘feel’ the nasty thoughts that were surfacing, instead of suppressing them. I’ve got to say that this feel like I’m healing from some deep wounds, going all the way back to my childhood. After my shaking episode, I went online to see if other people who were healing from PTSD were also experiencing this, and I found your video. I think people grieve in different ways, and I didn’t find shaking as a relief mechanism until I ran into your video. I’m glad that someone else in the world also shares this way of grieving and I just wanted to thank you for sharing your healing story. You have uncovered and described one of the most powerful healing tools in my whole recovery experience. It’s just like grief – let it out and it goes away. Try to repress it, and it turns toxic inside us. Those nasty feelings can eat us up inside. I’ve experienced all you have – including the dry heaving sensation. Isn’t it amazing how good we feel after doing that? Yes, we’re healing from deep wounds. Mine went back to childhood just like yours, and I’d been sitting on them ever since. I wasn’t consciously trying to suppress those feelings – I just didn’t know how to release them. The shaking has that effect of releasing feelings that I had stuffed because of the PTSD when I was too dissociated to feel them. I had thought for many years that the shaking to release trauma was just something I made up on my own, or had just happened in my world. It was hugely validating to realize that the process had been recognized and formalized. I think our bodies will just do this naturally if we just let them. Keep me posted about how it goes for you! Richard was my father. My Aunt Joan, his sister, found your article and shared it on FB. He was telling the truth. Richard’s father, my Gramps, and Joey Castillano were first cousins. A fact, he only alluded to in public. I appreciate you sharing your story. It reminded me of how he was one on one. I miss him so much, and think of him almost every day. He loved God and the church so much. He always met people where they were and nudged them towards the most natural feeling…love. He equated love w God. They were one and the same. There were no rules. Just appreciation for that love that made him or any person do “the right thing”. I know he loved sharing his faith with you. It was his calling and nothing made him happier. Thank you for being an open heart and mind in which he could share the gifts God gave him. I just spotted your comment. I’m glad your Aunt Joan passed along this article! So he wasn’t kidding about the family connections? Wow! Yes, Richard was amazing one on one, and it sure showed. He really touched the heart of a very wounded young man, when I very desperately needed it!